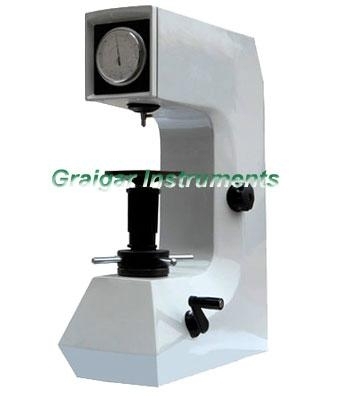 200HR-150 Rockwell Hardness Tester is the upgraded version on the basis of HR-150A. It is a new type of hardness measuring instrument. It can be widely applied in the factories, scientific research institutes and laboratories of colleges, for determining Rockwell hardness. It is suitable to determine the Rockwell hardness of ferrous, non-ferrous metals and non-metal materials. It can be widely applied in the Rockwell hardness testing for heat treatment materials, such as quenching, hardening and tempering, etc.